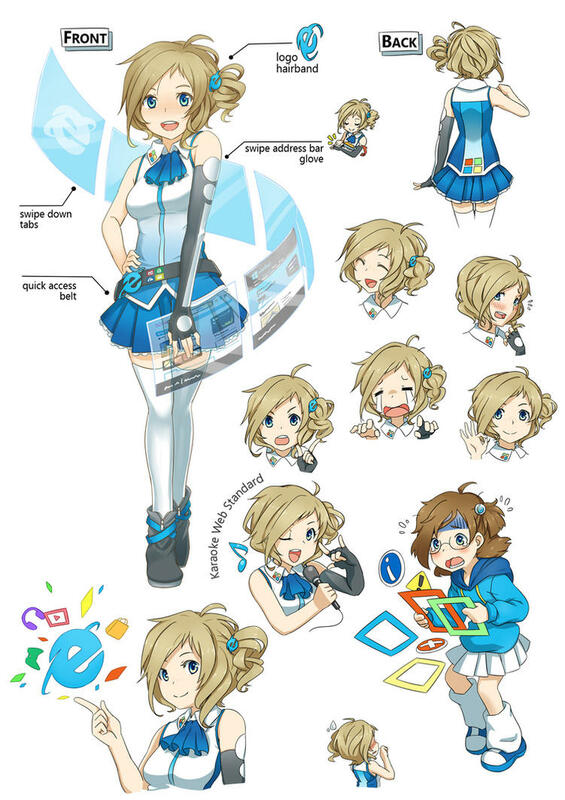 The browser also gets its own anime mascot, ‘Inori Aizawa’. I bet the Inori edition will have a Clippit version of Inori with AOL voice. Remember those " You ahve e-mail " days ? 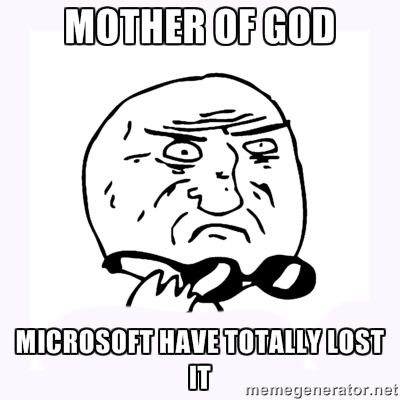 "Wakarimashta, we shall go to your website"
"Sensei, your page has loaded "
" Taskitey, the tab has crashed!" 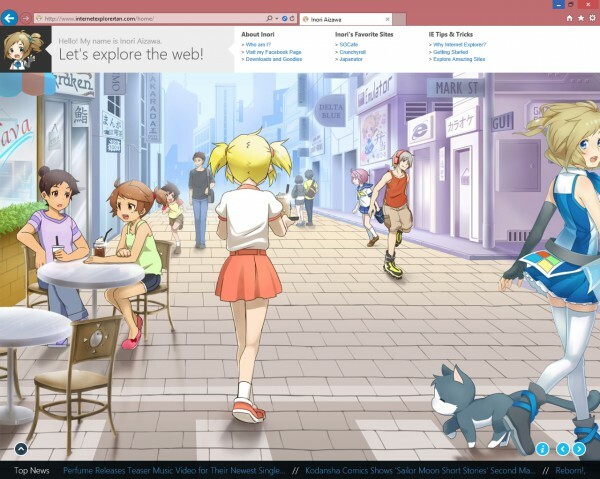 This kind of advertising might do well in the East, but I'd be pretty amused if an anime character pops up on all those enterprise/business systems stuck on IE. Imagine you're at your GP, his face serious. 'Keith, its about your recent test' He turns his monitor to show you the result of that CT scan... You've been bracing because you knew your family had a tendancy to develop that fatal disease... Then it appears... "Hey everyone! My name is Inori"
Haha, thank you Microsoft, you've made my day. She even does the complimentary Sailor Moon-esque transformation scheme. I imagine she was created more for the Asian side of the world but I'm not sure what the anime video actually highlights. I mean if they used it to advertise a few features then it would have probably been good. I imagine the shield thing was security/a firewall? Just out of interest, are any of you actually using IE11? I'm pretty integrated with Chrome due to their sync feature as it's nice to my phones and tablets be able to open up the same bookmarks and tabs that I was viewing but I imagine that's a basic feature. Did anyone else notice that she was destoyed an entire city block whilst transforming and stopping the other (browser?) robots. What message does that send about what'll happen if you instal IE11 on your PC with firefox/chrome present? Gulp. That anime thing is just plain creepy. Shall firefox retaliate with thier own complete with fox tail and ears? Thank the lord you said that - I thought it was just me being a little over-sensitive! Be interesting when they port it then - shall we see "Internet Explorer 11 (Brown) Mac Edition". Someone already beat you to the "Firefox character" idea. Actually I'm going to be contrary - if they were to introduce a ClipIt style feature into IE then I'd be okay with it. Used to like the old Office "Wizard" clipit. But would that persuade me to use IE? Probably not. Actually the last time I used IE on Windows7 (apart from at work where I've got no real option) I wasn't impressed - it seemed slow to do anything and I use Firefox or Chrome in preference - Chrome normally with an extended (ABP, NoScript, etc) Firefox for online banking. Don't tell the IT folks @ work, but I've also taken to using Chrome on some of the intranet sites - these are fancy AJAX ones, and IE is so slow that sometimes you think the network's gone down. Chrome's much, much nippier. Last edited by crossy; 08-11-2013 at 02:38 PM. Someone already beat you to the "Firefox character" idea. Damn it, there I was thinking I was being clever. Try one of the non-google affiliated versions like comodo dragon. Good news for powering heavy-duty HTAs (yep, some people do). Not keen on it as a browser, though.